The Journey to Redemption: So What Is a Christian to Do? A letter to the One who has the answer to life that began at the cross. Hello, my dearest love. I’m writing you this letter as I am quite puzzled and often discourage of the direction your people are taking. Nowadays I find many Christians doing radical things and some things we believe in are being taken away and on another hand Christians are being undermined and accused of wrong doing in today’s society. You name it we seem to be in the middle of it, even the center of ridicule. I’ve thought many times and said, “Lord what if I say this or that would you approve? If I speak out against sin I will be scorned. You said there would be scoffers in the last days (2 Peter 3:3-4; Jude 17-18). That’s not what I’m afraid of. I’m not afraid of what man will do to me. I’m trusting in you that what you have promised in your Word. I know I’m following my heart. You said follow me and I take up my cross. So my question is, what is a Christian to do, when you feel you need to call people to the Gospel and not sure what to do without being called a fanatic? Let us remain true to the Gospel and tell others that there is a great hope after this world has passed away. Some people get offended by it and others who are searching for an answer to this life’s trouble find hope in the Gospel. I believe what you’re telling me is not be ashamed of the Gospel and the One who died for me and for many nations, tribes, and tongues, tell as many people who will listen to the good news, and put all doubt behind you and have faith that you Lord will do the rest. You have already done all the work. I just hope that those who claim to be Christian, the false prophets and false Christs shall not destroy the work that you put forth in your true children. You know them who they are Lord. A tree is known by the fruit it bears. The shepherd knows his sheep. His sheep hear his voice. I’ve read my Bible. And I call to you in prayer on what to do. I’m hoping you’re listening. There is something within my being that encourages me to do the best I can with what I have. You gave me a gift or two that I want to use to your glory. I feel that if I don’t and neglect it then what good have I done for your kingdom. I want to keep my gift for the kingdom to come. It’s brought me comfort as you have too. 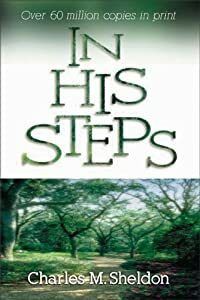 Do you remember that book, In His Steps there is that “what would Jesus do?” when one doesn’t know what to do. Your wisdom and strength comes to mind then it all works together to those who love God (Romans 8:28). Lord, my prayer to you is to make me the Christian you want me to be. Help me to hear your voice and be obedient in doing what you need me to do. I go alone among the world, but I know you’re with me always. Never to leave me nor forsake me. I will trust in you with what you have for me in this life. I know that one day when that day comes I would have finished the race and kept the faith of telling others about you and that they may be part of your glorious Kingdom where there is no more sorrow, tears, or pain anymore. I pray for the peace of your soon coming and the salvation of many that they may not be lost forever. I believe that this is the true Gospel. This world will soon be gone forever. Christ will return to reclaim what was lost and what belongs to Him. Lord you want us to be part of your family if we choose to. One day we’ll all have to make a choice of how we’ll spend eternity. This sinful world will not continue to go on. There has to be an end to evil once and for all. It only destroys people. We can’t even imagine in our thoughts what marvelous plans God has for us in Christ Jesus. You made it all very simple for us even a little child can understand it. I hope that many will come to you and receive eternal life you offer and know the joy you have in store for them. Looking for Your glorious appearing. Your will be done on earth as it is in heaven.